Tryouts will be held on Sunday 3th of December of 2017 at Sir Zelman Cowen Park from 02:00 to 06:00. Stay tuned to hear more about our plans and fill our EOI for season 2018. 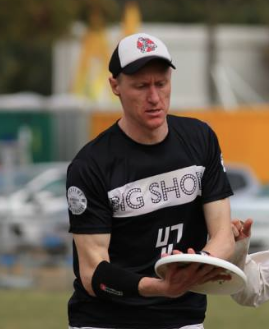 This is Chilly's second year of its campaign towards Worlds Ultimate Clubs Championships 2018. Selectors will be seeking for the best combination of players that will enable the teams to perform to its peak. Athleticism: Agility, power and speed. If you are interested in trying out for Chilly 2017 simply submit your EOI form. If you have any questions regarding the selection process or the tryouts day, please do not hesitate in contacting us!